Saturday’s Halloween ad is for Schlitz, from 1949. Part of Schlitz’s “I Was Curious” series, each employing a three-panel structure, this one takes place at a Halloween party. 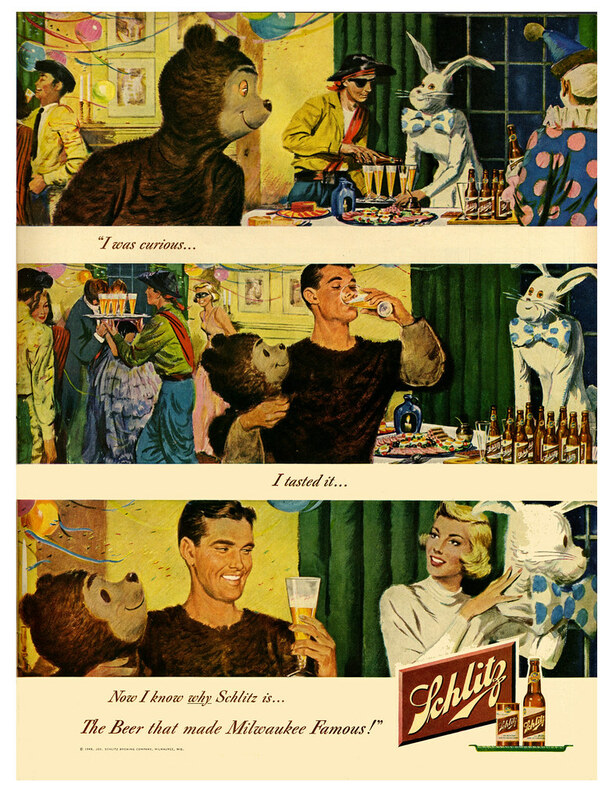 A man dressed as a bear spots a table full or Schlitz beer and was apparently thirsty enough to get a beer, forcing him to reveal himself by removing his bear helmet/mask to drink the beer, at which point, the bunny behind the table removes her rabbit head to reveal a fetching blonde, and the two appear to make googly eyes at one another. Which should mean the ad will have a happy ending. 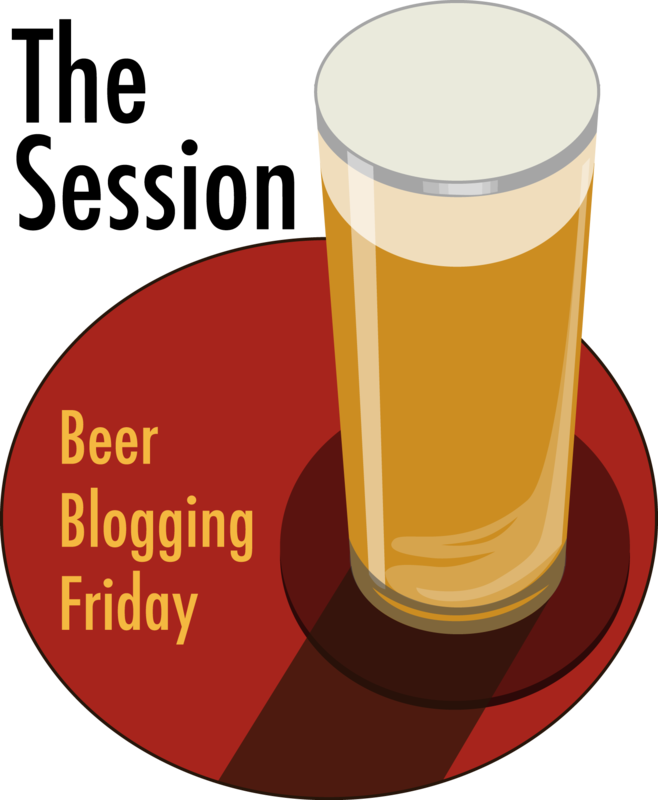 But in the first panel, the bunny was holding on onto a tray while a pirate poured beers into glasses, and then briskly goes off to deliver the beers to other guests at the party. That might suggest that he’s one of the hosts of the party, and possibly the bunny’s husband or boyfriend. So maybe this ad is racier than you might think at first glance. Perhaps we’re seeing the start of an affair?